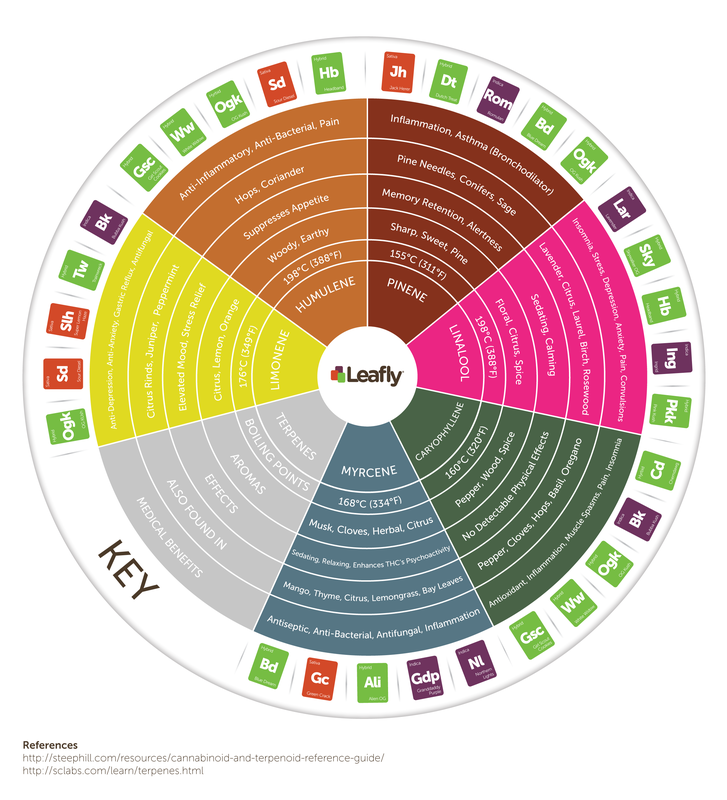 An excellent infographic from the dope guys at Leafly demonstrating the Cannabis Terpene Wheel. Some people might ask “What the hell are terpenes?” well to put it simply the technological advances and research in the world of Cannabis is allowing us to discover there is a lot more benefits hidden within our favourite plants then the cannabinoid content and come from the resin glands. Terpenes are the fragrant oils that provide the aroma present in Cannabis and the variation of smells across different strains is something of interest. Terpenes also provide smells in other plants, fruit and herbs.